Fused appliqué with free motion quilting Hand dyed organza and cottons are the primary fabrics. 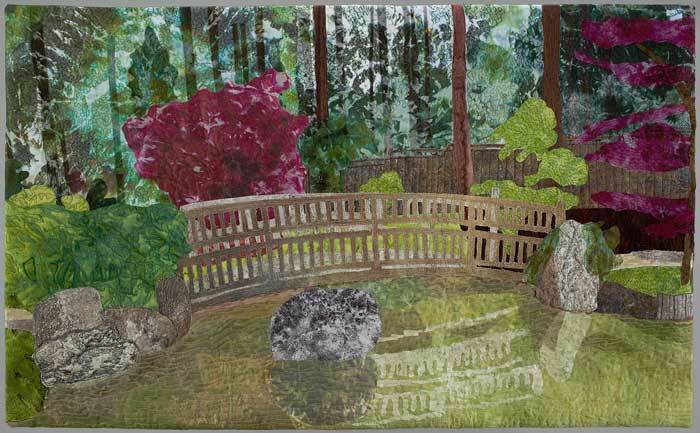 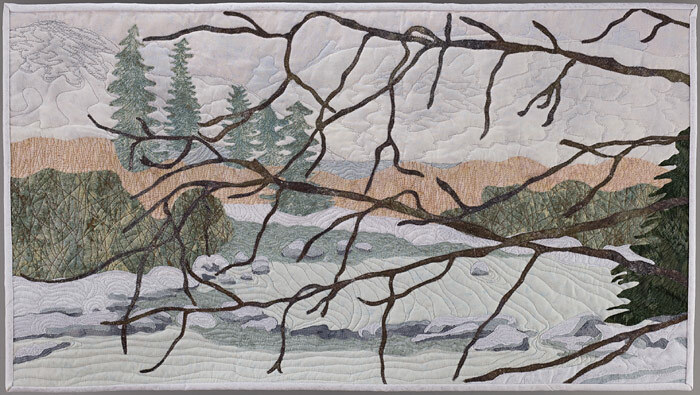 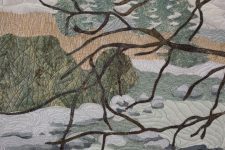 This art quilt depicts a scene in the Japanese Gardens in Manito Park, Spokane, WA. 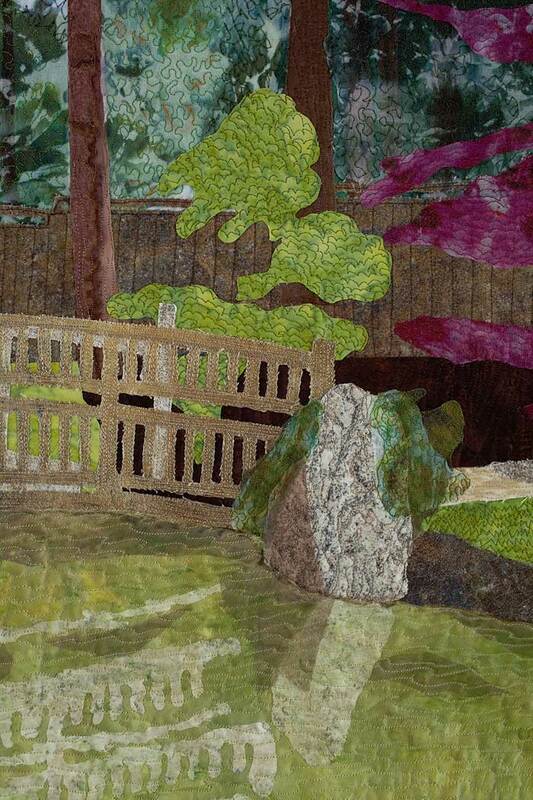 It is a favorite place to escape to in the city where there is always a feeling of tranquility. 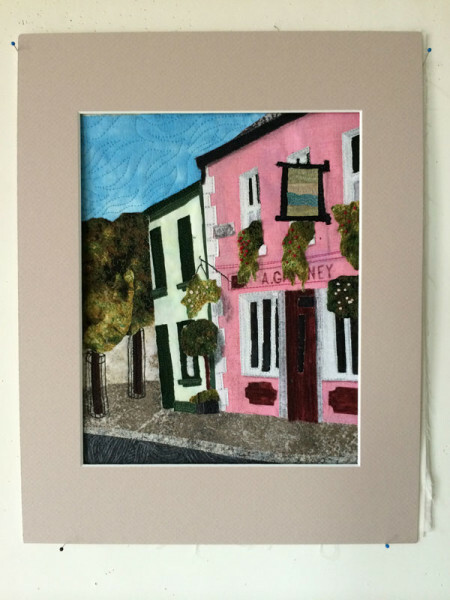 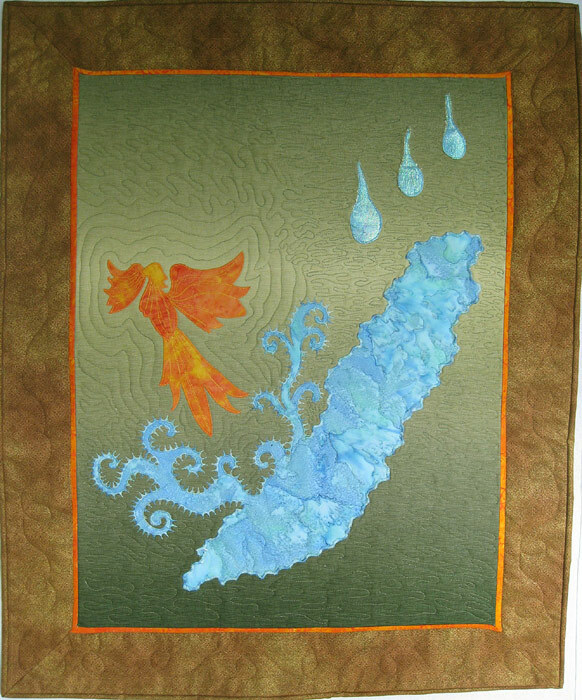 Hand dyed cotton with Angelina stitched figures appliquéd to background. 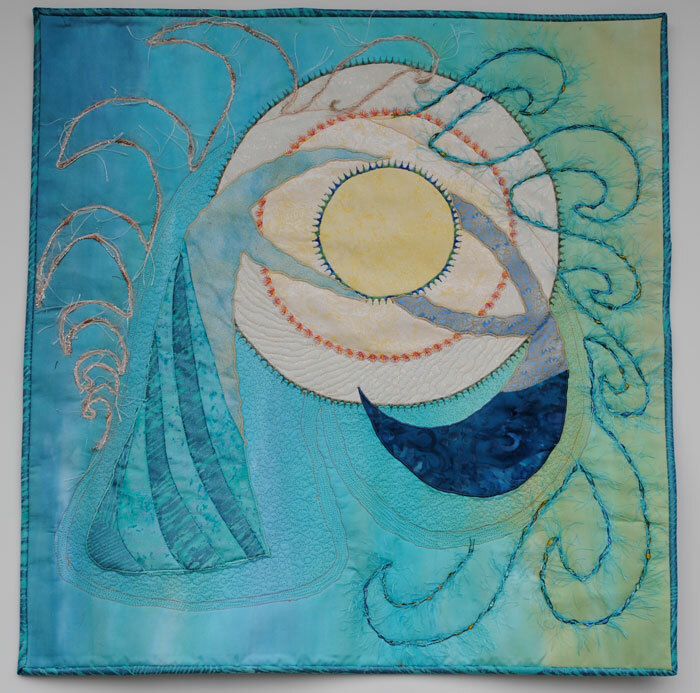 Free motion quilting. This art quilt began as a piece of fabric that I dyed using an ice dyeing technique. 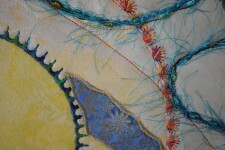 The fabric immediately reminded me of the expansion of new energy that comes with each spring. 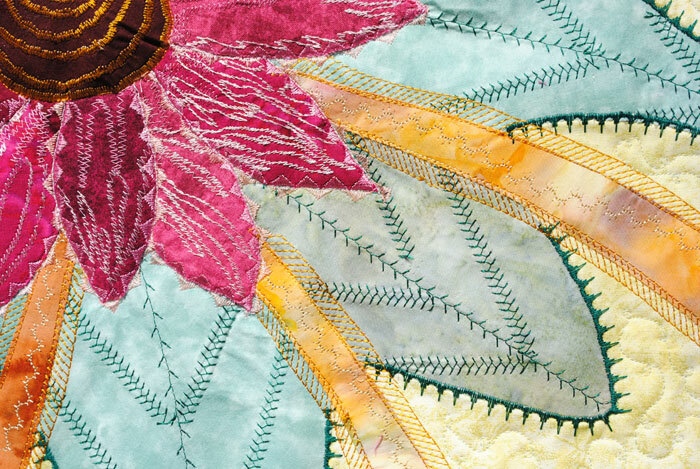 As I began quilting it, as a whole cloth design, it spoke to me even more of spring. 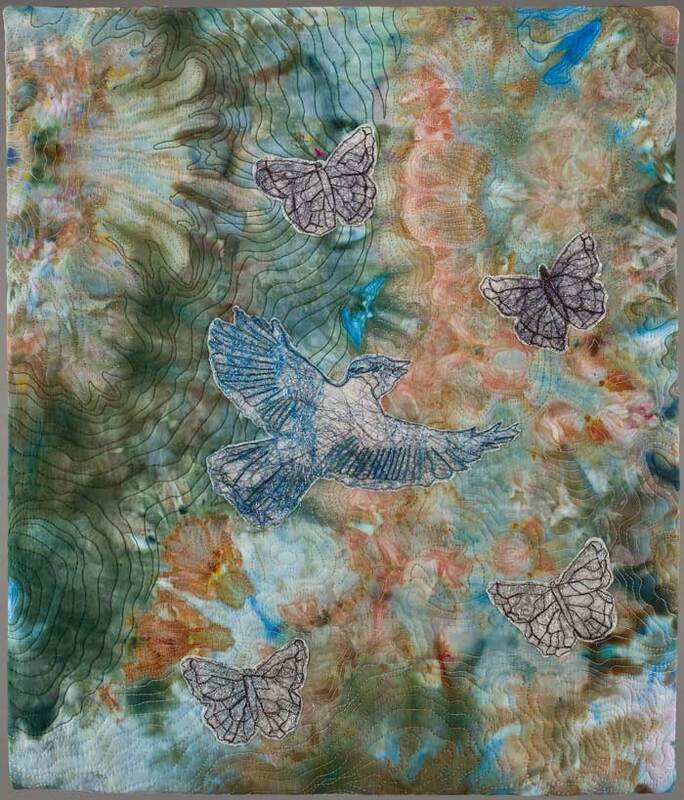 Adding a bird in flight and the butterflies seemed a natural completion. 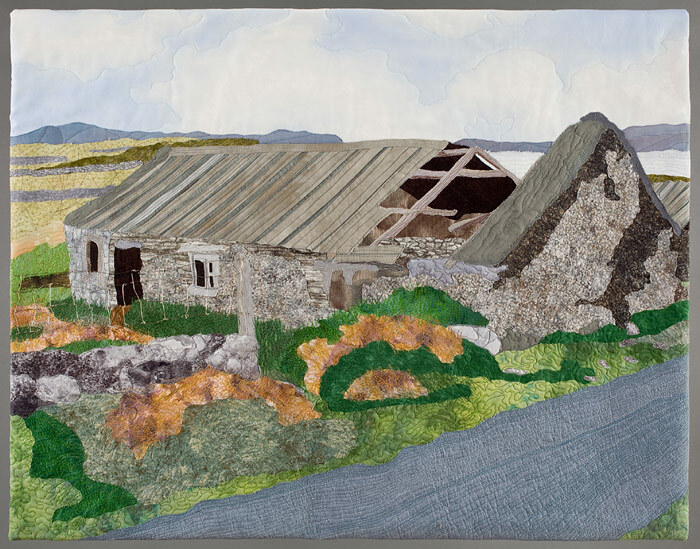 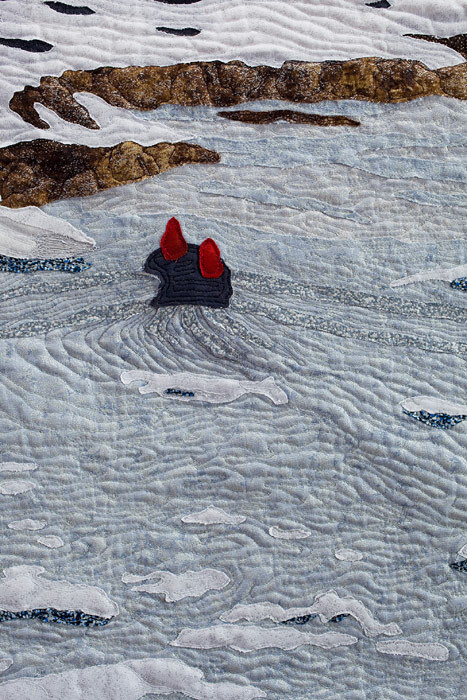 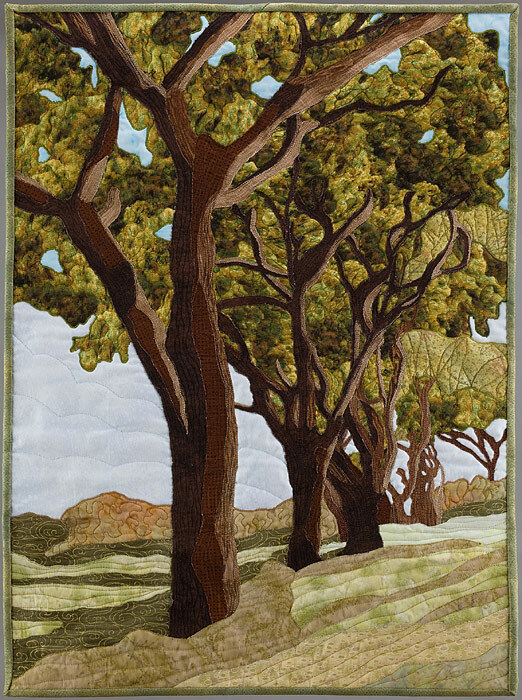 This art quilt toured with SAQA’s No Place to Call Home special exhibit. 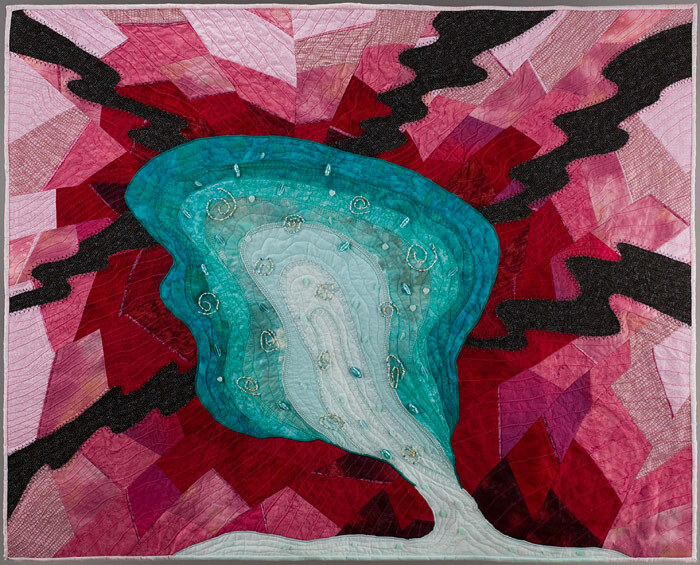 Contemporary fiber art quilt: pieced and appliquéd hand dyed cotton with a hand stamped tulle overlay. 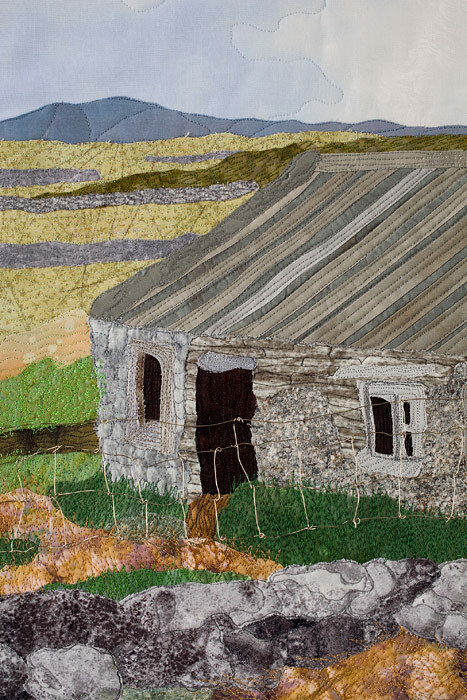 No one really knows how many children in this world do not have homes. UNICEF estimated 100 million street children in the world’s cities back in 1989 and continues to refer to that number. 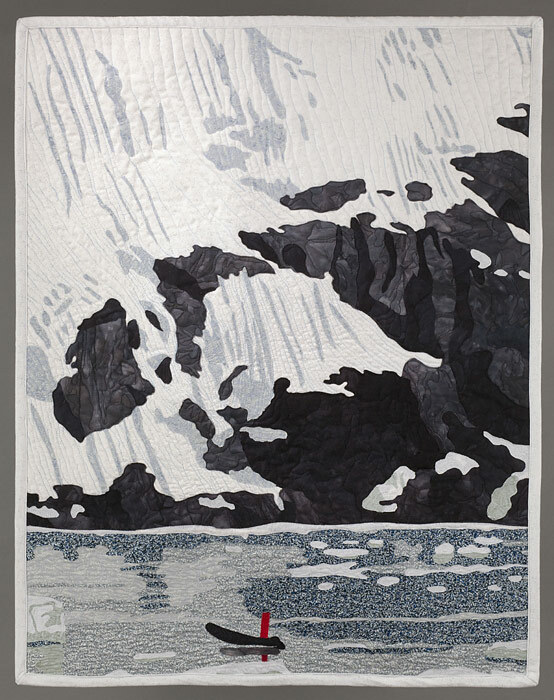 Using this limited estimate, each child in this quilt would represent one million children. 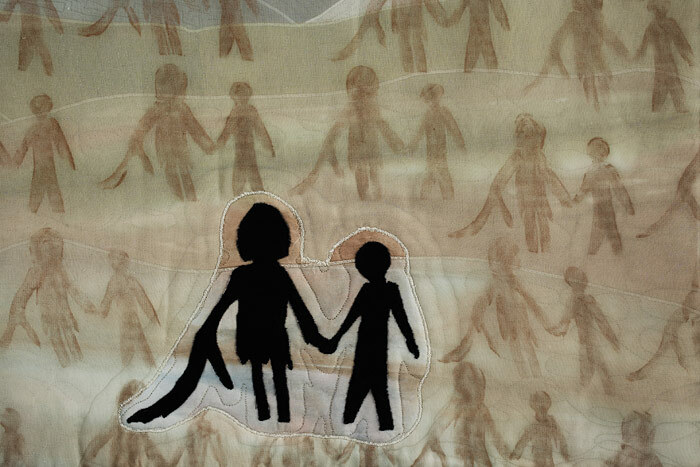 No one knows what happens to these children either. 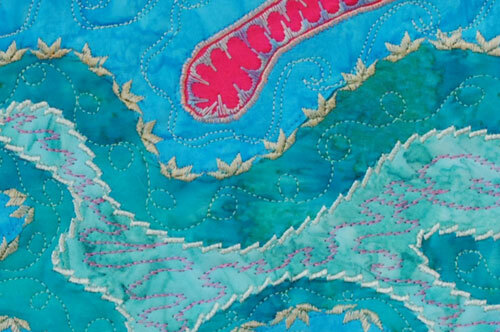 Some simply disappear, dying from malnutrition, disease, or worse. 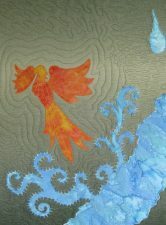 Others though endure and rise up from their bleak beginnings to live full and inspiring lives. 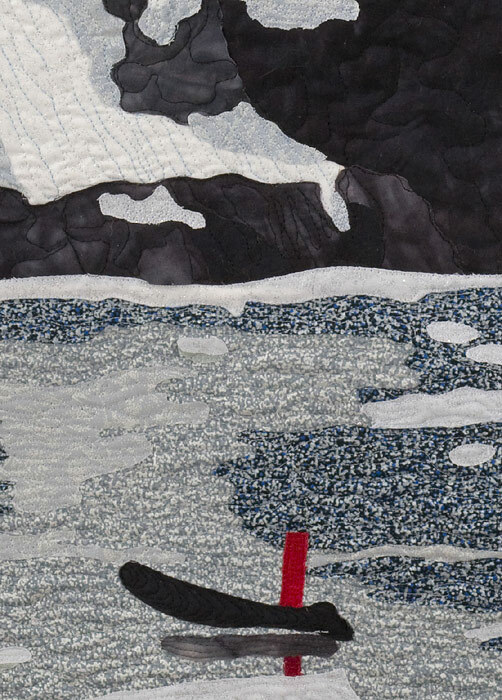 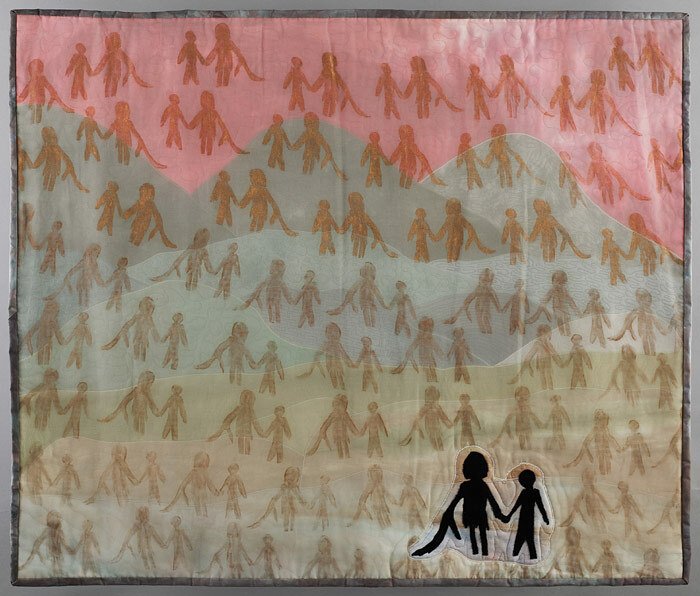 This quilt imagines the world through the eyes of these children – vast, muted, empty of homes – and honors them by bringing attention to their sheer numbers. 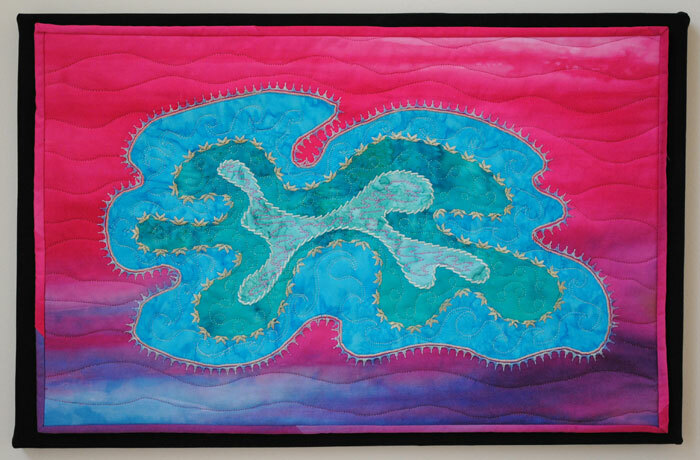 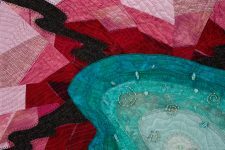 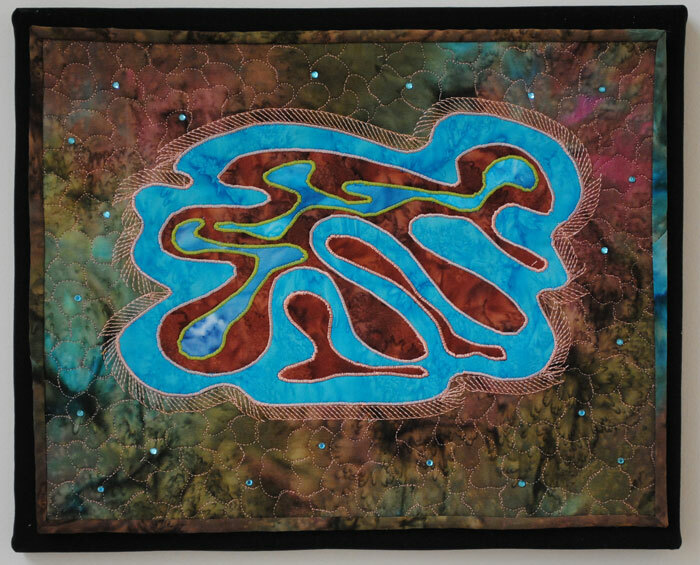 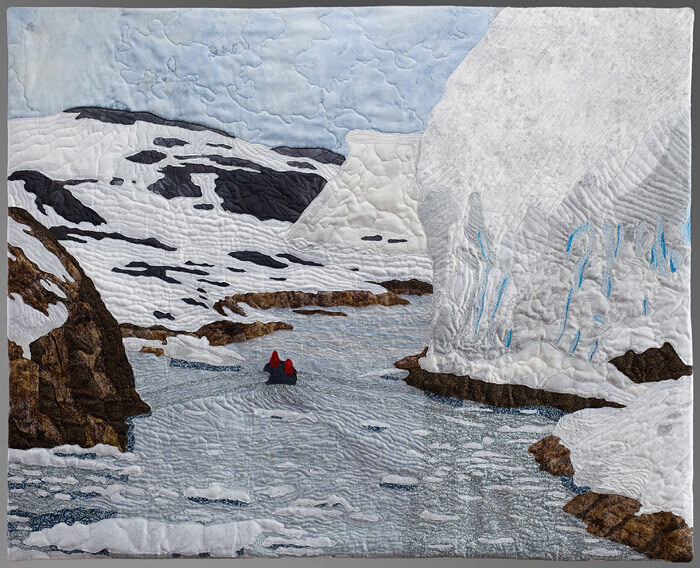 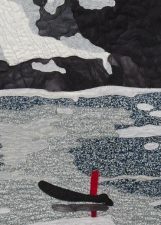 Exhibited in 2012 Northwest Quilting Expo’s Juried Quilt Show. 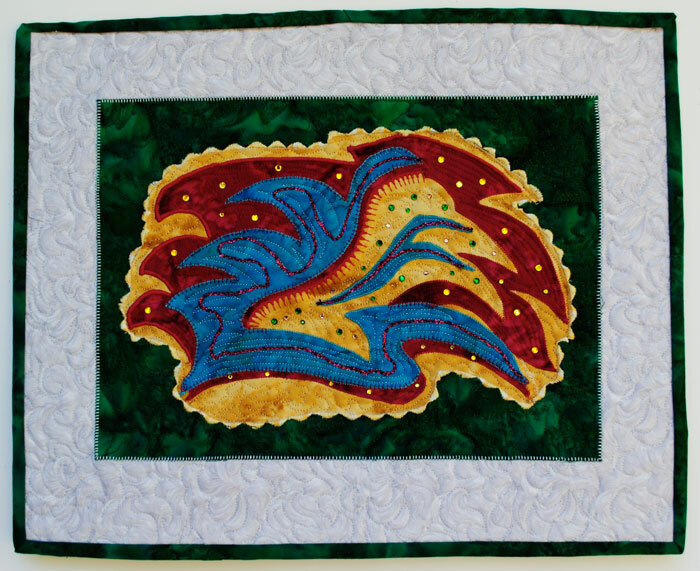 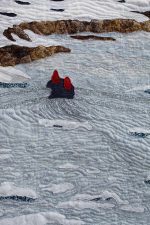 This machine quilted art quilt combines pieced, fused, and appliqué techniques and includes decorative stitching and hand beading. 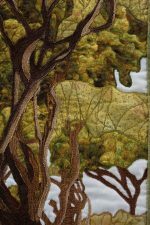 Life, at times, can create a feeling of being besieged and bombarded by outside events, with energy draining and thoughts spinning endlessly. I created this piece at a time of major transition in my life. 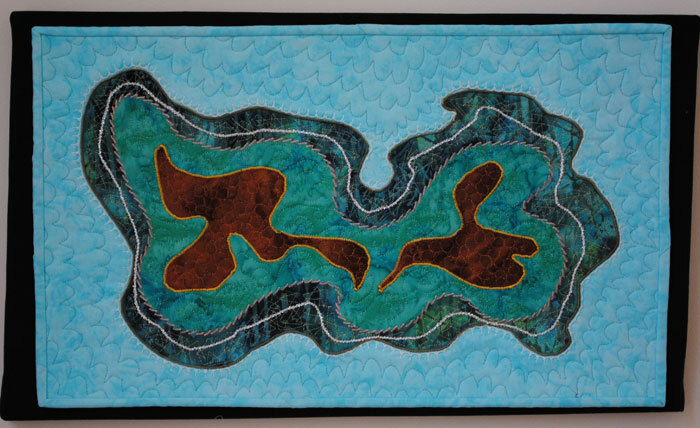 An appliqué art quilt with decorative stitching and embellishment. 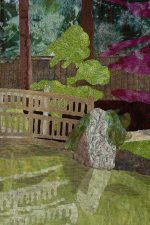 This quilt was the result of family fun and intensive gardening at my daughter’s home in eastern Washington State. 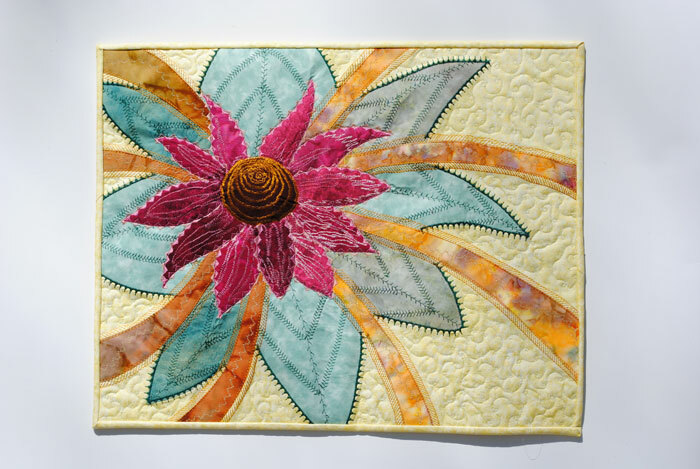 An art quilt of appliqué on a pieced background, fused angelica fiber and thread. 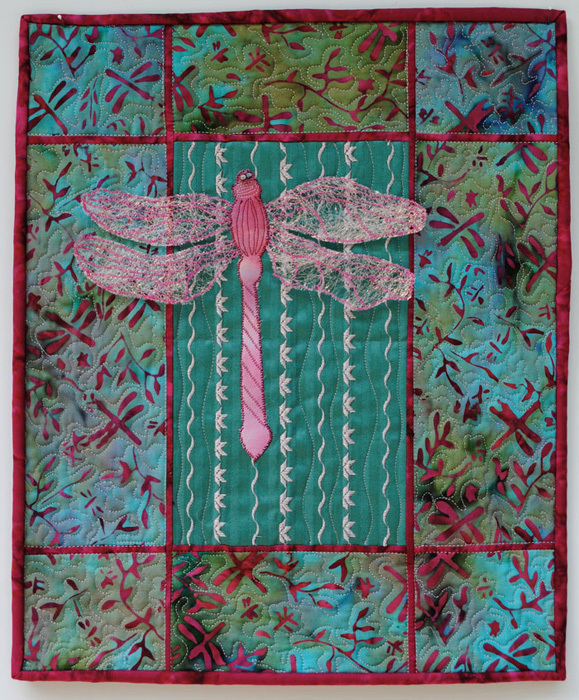 Popular symbolisms of the dragonfly are renewal, positive force and the power of life. 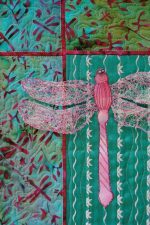 Dragonflies can also be a symbol of the sense of self that comes with maturity. 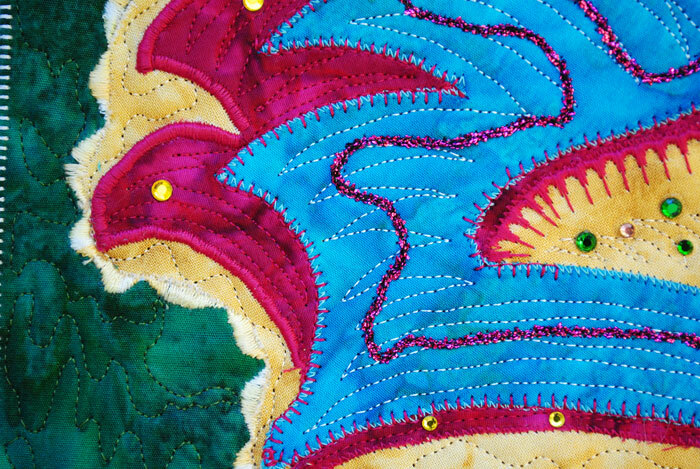 Also, as a creature of the wind, the dragonfly frequently represents change.